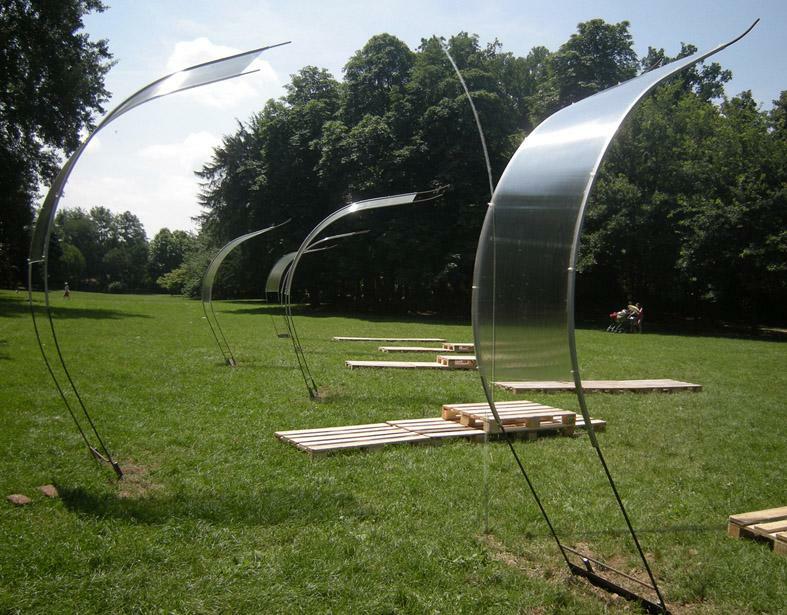 Designed for the Kernel Festival 2011 in Villa Tittoni Park, Desio, Italy by Gianluca Milesi, Michiko Yamada and Edi Zulga, Shadows offer a unique way to provide public park users and festival goers with shade, shelter from wind, and light (through the use of neon lamps) during relaxation. 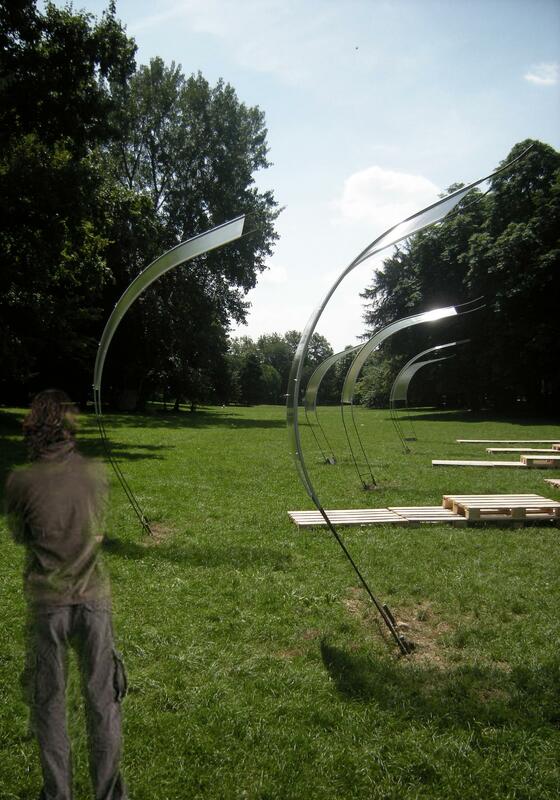 Clearly inspired by the digital aspects of the festival, the Milesi Shadows are built using cast iron rods, reinforced plastic profiles and sustaining polycarbonate panels, providing a wave-like self-standing structure that can be moved and manipulated by the public. 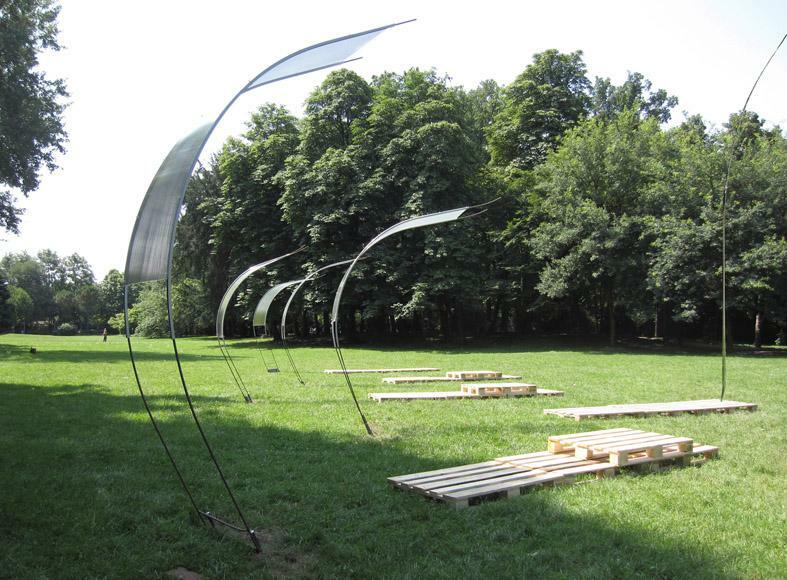 The temporary nature of this project played a big part in the concept of Milesi and Yamada, and pallets have been used to define spaces, and creating seating and furniture areas. 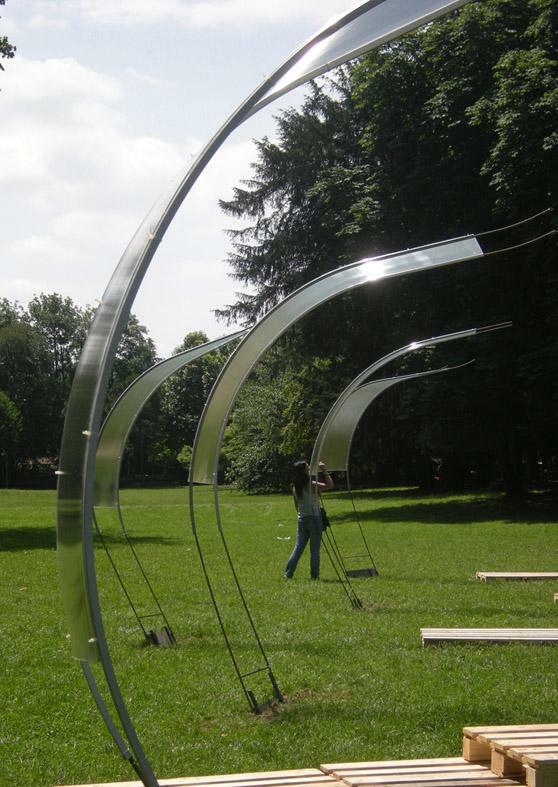 The architects describe the Shadows as a “harmonic, imaginative, and elegant conjugation.” I couldn’t agree more.